Find here the best Fae.House coupons and deals. FAE offers a fresh take on timeless swimwear. Our minimal v-cut and g-string styles are a cheeky celebration of your body, and our stunning high-quality double fabrics and risqué design will have you sizzling on the sand and in the salt all summer long. Sustainable, timeless pieces, for those who like to show some skin. 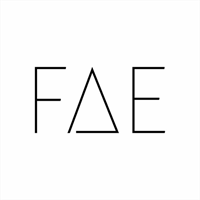 Shop now at Fae.House and buy at the best price thanks to our coupons, offers and deals. Save an extra 20% on sale!